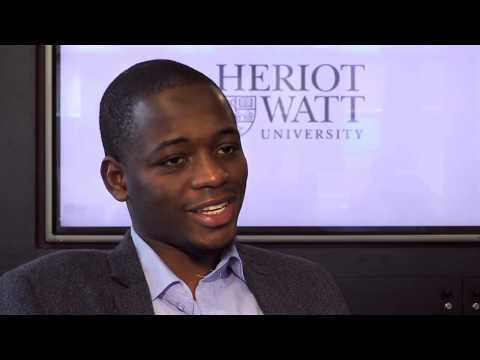 For more information about Electrical and Electronic Engineering at Heriot-Watt University, please visit the webpage using the button above. The programmes for the MEng and BEng degrees are common until the end of Level 3. Candidates are then selected for the two-year MEng programme, which involves an interview by a joint academic/industrial panel. Enhancements in Level 4 and Level 5 take two forms. Technical studies are advanced to a Masters level and the syllabus is greatly extended in the area of engineering management. A six-month industrial placement starts in the summer between Levels 4 and 5 and runs until the end of the first semester in Level 5. 95% of those working are in a professional/managerial position six months after graduating. Additional information The subjects studied must include Mathematics and Physics, Technological Studies or Engineering Science. Applicants may be admitted with a range of alternative qualifications including BTEC. Additional information In all cases including Mathematics and Physics. Please contact Admissions Tutor to discuss further. At the end of Level 3, students can apply to transfer to the MEng programme. Students with other qualifications, both from within the UK and overseas are encouraged to apply. Please contact the Admissions Tutor for clarification on any aspect of the admissions process.